We don’t know about you, but taking a sip out of a good cup of tea- whether iced or hot- makes us feel all kinds of fuzzy inside. The good kind of fuzzy. Our favourite thing about tea is that it’s just as good for the body as it is for the soul. It’s calming and nurturing, all at the same time. Who can complain about that? However, not all teas are created equal. Some are better than others at inducing weight loss, some can relieve respiratory symptoms while others help to balance and support your digestive system. With that in mind, are there any teas that are especially good for women? The answer: YES. 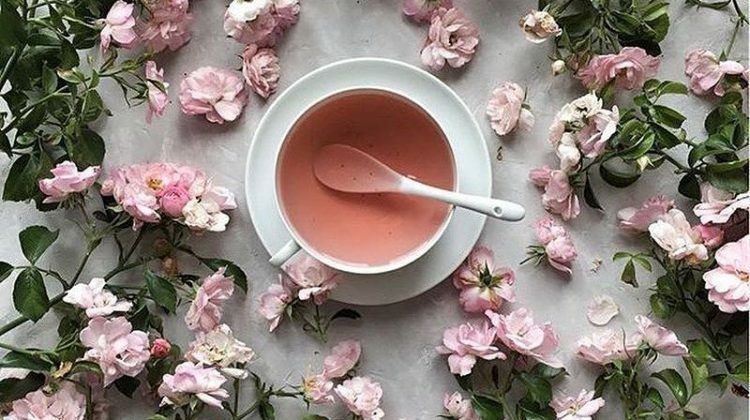 In line with Breast Cancer Awareness Month, we’ve picked our top 3 women’s wellness teas for you to try and here’s the sweet surprise; they’re all PINK! So now, your tea doesn’t just taste good, it LOOKS good too! 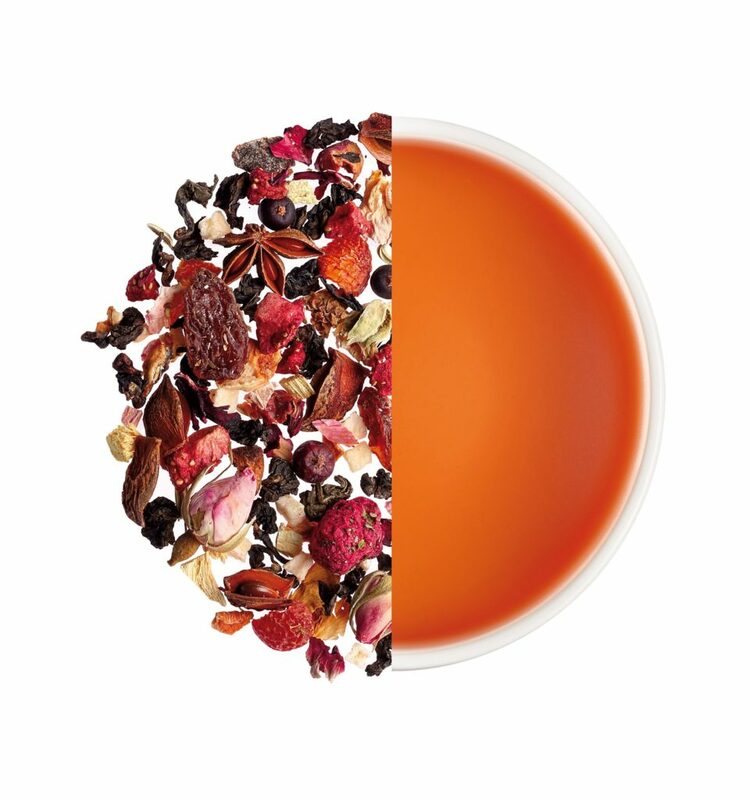 Oolong tea, apple, rosehip shells, raisins, pineapple cubes, juniper berry, strawberry, anise, orange peel, peach cubes, rose buds. Fruity and sweet, the Strawberry Rose Oolong tea is a treat to the senses. The sweetness of the orange, pineapple and peach flavours are brought to balance by the oolong tea’s earthy tone. Oolong is known for its ability to boost metabolism and help you burn calories faster. It’s also good for the skin; slowing down the aging process and improving its vitality. Not only that, it promotes healthy and shiny hair and even helps to reduce hair loss. If you feel like you need a little self-pampering, this is the tea for you! Green tea, apple, hibiscus, rosehip shells, spearmint, raspberry pieces, blackberry, blackberry, cactus flower, raspberries, plum, redfruit. Minty with a hint of tart from the berries coupled with green tea’s soothing taste. A fun and exciting twist on your palate as it travels from the flavours of Asia to the Caribbean. Green tea has been known to help calm and ease the mind. Many Buddhist monks find that it helps with their daily meditation by fighting off drowsiness and keeping their attention sharp and focused. Berries, on the other hand, help to maintain the skin’s youthful and healthy glow. The Havana Blackberry tea also contains a very special ingredient: cactus flower! Cactus flowers have anti-inflammatory properties and are a great source of antioxidants. 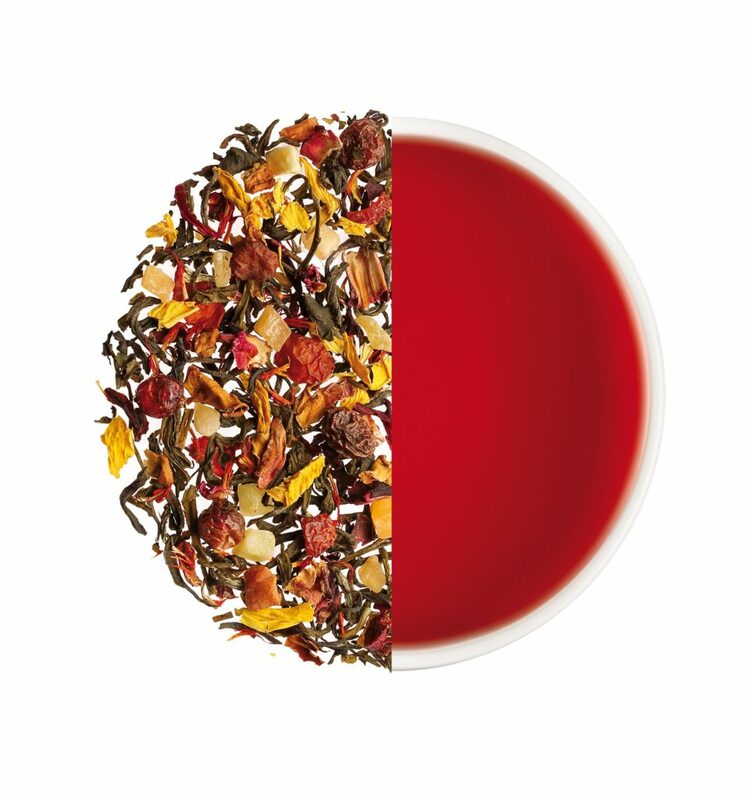 White tea, hibiscus, rosehip shells, apple, pineapple, mango cubes, goji berry, red rose petals, sunflower petals, pomegranate, lychee, acai. 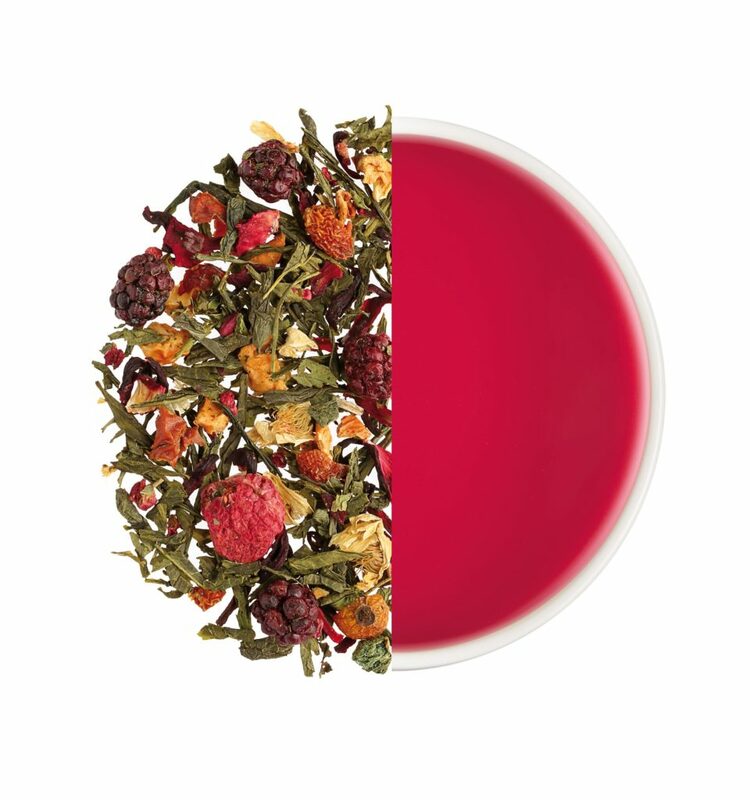 A mix of sweet and sour from the fruits and berries is balanced by the white tea’s milder flavour. White tea is the least processed of all teas and is beneficial to the hair, nails and skin. The rosehip shells provide a good source of vitamin C that help to combat against colds and flu. Not only that, according to a study done, rosehip significantly reduced the migration and growth of breast cancer cells in a particular form of aggressive cancer, called triple negative. The Immortal Berry is also packed with antioxidants from the goji berries and acai, hence its name. Throughout October, we want to celebrate women in line with Breast Cancer Awareness Month. According to the World Cancer Research Fund, breast cancer is the most common form of cancer in women worldwide. While there are unpreventable factors that increase an individual’s risk of breast cancer such as age, family history and genetics, there are also a fair share of factors that can help reduce that same risk. A healthy diet consisting of pesticide-free, organic foods is one of them. Rest assure, every Chai Yó beverage uses only the finest ingredients, and is 100% organic with no artificial flavours or colours. To show our support for breast cancer awareness, all our PINK drinks will be RM5 off for one week till 29 October 2017. 10% of proceeds will go towards National Breast Cancer Society Malaysia (NCSM) to aid their efforts in educating the public on breast cancer and to provide care and support to those affected by it. So what are you waiting for? 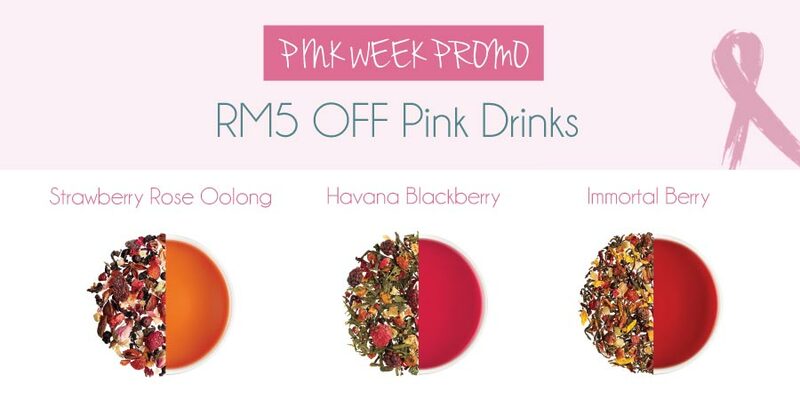 Let your mom, sister, girlfriends know and enjoy a PINK DRINK together!